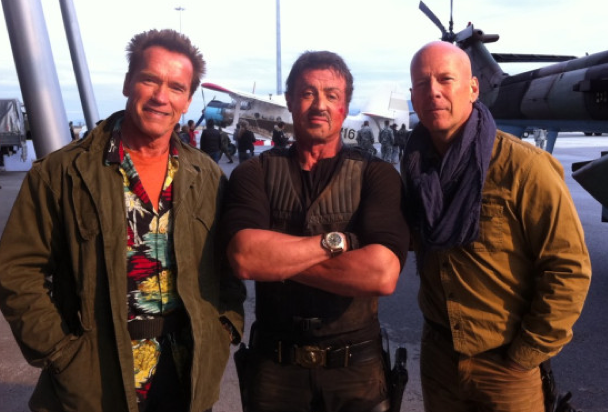 Speaking of old dudes filming action movies which should be starring people no older than 30...Arnold Schwarzenegger tweeted the above picture from the set of The Expendables 2. (Which is what you would find if you looked up 'action movies starring men who are well past their prime and holding onto the action hero image until death' in the dictionary, the cover to this movie would accompany it). Best part of the first Expendables was Stallone running...get that man a walker. Side note: I'd still do Bruce.